Taney Drama Society is a vibrant theatre group based in Taney parish centre. We stage two productions each year and are always looking for new members. If you are interested in taking part in our future productions please contact us. We look forward to hearing from you. Taney Drama Society presented 'Da' by Hugh Leonard on 18th, 19th and 20th May 2017. The Taney Drama Society presented “A Christmas Carol” on Friday and Saturday 9th and 10th December at 8.00pm in Taney Parish Centre. This production, directed by Lynn Pennefather, was crammed full of well-known parish people, young and old all displaying superb talent and extraordinary characterisation. Scrooge, played by Brian Lucas, confronted his past, present and future along with other cast members including Declan Rudden, Heather Dean, Mark Parfrey, George Gogan, Cathy Hallissey, Nigel Pierpoint, Jacinta Madden, Tony Deegan and many others. Also featured was the Taney Parish Primary School Choir. Taney Drama Society returned to the parish centre on Friday 17th June for a special night of varied relaxed entertainment in the traditional Taney Way - a one act farce, singing, quiz, raffle and interval refreshments. 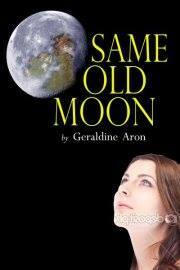 Same Old Moon by Geraldine Aron was well received when performed in January 2016 in The Mill Theatre, Dundrum. With a cast of thirteen, there was an excellent range of acting required from our members, in particular from Kelly Hudson who played the part of Brenda Barnes. Kelly transported us through Brenda’s life between the ages of nine and forty, moving from Dublin, to Galway and to London. During this period we were shown her difficult relationship with her father, played by John D. Bryne. Brenda’s mother, aunt and grandmother (played by Maria O’Meara, Caroline Montgomery, and Lynn Pennefather respectively) also had a huge influence on her, as did many of the characters she met on along the way. Performances were enjoyed by all and great ensemble playing was praised by audience members. We would like to congratulate three of our members who were involved recently in a Drama Festival in Glenealy, where they were presented with awards: Best Actor, Brian Lucas; Best Play, Tony Deegan (as author and director); Sheila Deegan received a commendation for acting. Well done all. We are always looking for new members who would like to be involved either on stage for performance, or backstage dealing with stage management, costumes or set building. If you have a liking for any of the above, please contact me at 087 9762738 or lynnpennefather@hotmail.com.